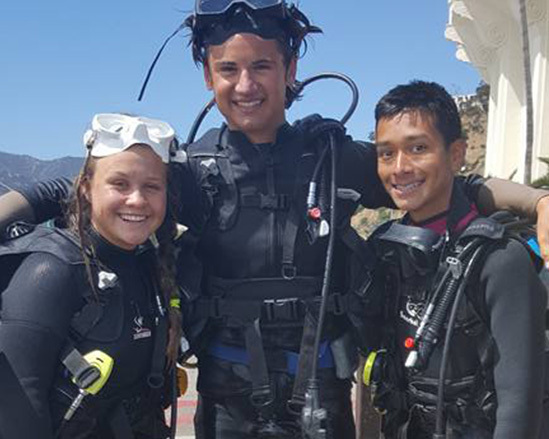 Attend one of our Two Week Scuba Certification Camps and enjoy a lifetime of excitement and adventure that comes alone with earning your Scuba Dive Certification Card. The ‘PADI Open Water Dive Course’ is the most universally recognized dive course in the world, with millions of people going on to apply what they’ve learned to explore some of the most incredible aquatic locations on Earth! 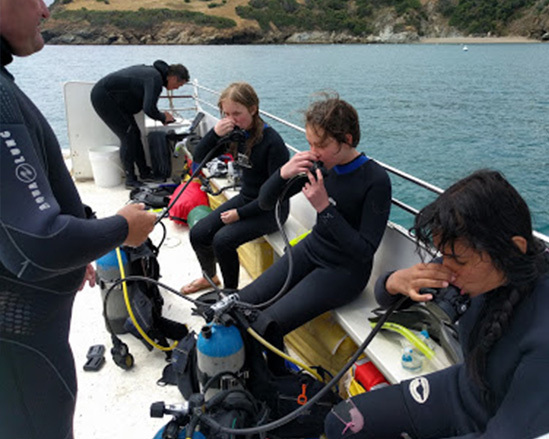 An Introductory Discover Dive is an orientation to scuba diving that allows those who have always wanted to experience the beauty and incredibly diversity beneath the surface of the waves. Enjoy a unique chance to dive at the world-famous Casino Point Dive Park, in Avalon, one of few underwater parks in the world, and marvel at the complex marine environment found in the kelp forests.